The 8th Recurrence Plot Symposium 2019 will take place in Zhenjiang, China at August 21-23, 2019. The objective of the symposium is to exchange the knowledge of scientists working in the disciplines of time series analysis using recurrences. 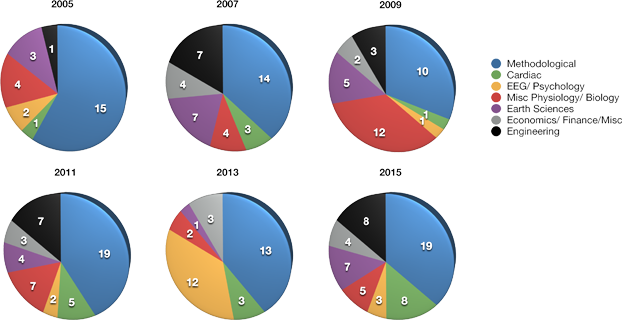 Significant progress has been made in the areas of data analysis by means of recurrences. Recurrence Plots (RPs) have been shown to be a very robust tool for the analysis of time series, and can cope with large amounts of noise and even nonstationarity. RPs have found applications in fields such as physiology (EEG, ECG), astrophysics, geophysics, meteorology, genetics and finance. Theoretical results show how closely RPs are linked to dynamical invariants like entropies and dimensions. It can be shown that the dynamics of a system can be captured in a recurrence plot and that it is possible to perform a synchronisation analysis by RPs. These practical and theoretical aspects are discussed during the symposium. 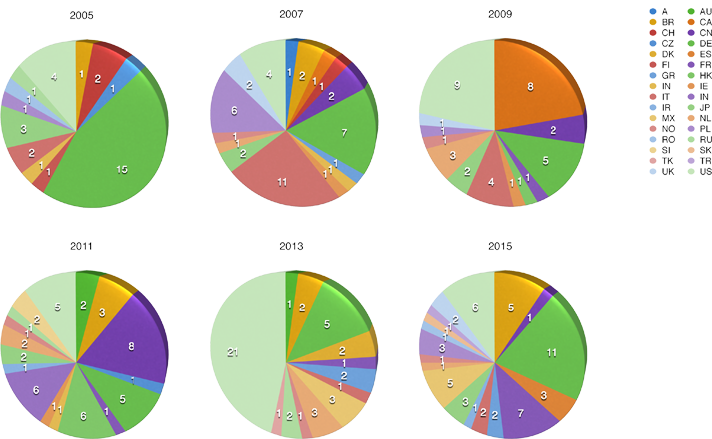 Moreover, potential applications of RP-based methods for spatio-temporal data, image analysis, statistical tests etc. can be introduced. 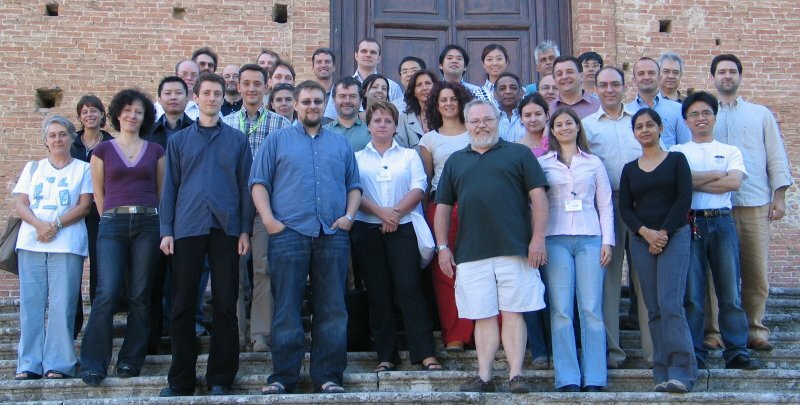 Participants of the second international recurrence plot workshop in Siena, September 2007 (Photo: Chuck Webber). Visit the recurrence plot symposium web site!